Owning a motorcycle is a passion. Hours are spent polishing, upgrading, and tuning to be ready to ride. Bikers invest in accessories and install equipment to make the experience the best it can be. Anyone who is, or has a motorcyclist in their life, understands this enthusiasm. It still can be tricky trying when buying gifts for your favorite biker. No matter how long they have been riding or their experience level, at Chesapeake Cycles, we can help. If you have questions, we are eager to share our experience and can help you find the perfect holiday gift for any biker. Apparel has changed and become more functional. Come in to see what is new for the rider in your family. Your motorcyclist, no doubt, is in love with their ride. Why not pick up some brand apparel? We have cool vintage tees and jackets featuring brands like Indian, Victory, and Triumph. The fit is amazing and looks great on anyone. They are super comfortable and still look stylish without trying too hard. These make great stocking stuffers and are available in men and women sizes. This might benefit both the rider and a passenger. Going out for day cruises can be quite exhausting, especially in the heat, humidity, and blazing sun. Not to mention, a rider may be wearing protective gear that will increase body temperature. Proper hydration is essential to staying aware and alert, and Camelback Hydration Backpack is an efficient and safe method to stay hydrated. With winter coming, a lot of bikes are being put into storage and put away until warmer weather. That is why this gift is perfect. Your rider will have a gift twice, one when they open in and a second when they realize how useful it come spring. there are a lot of different batteries, so the chargers will differ too. Come into Chesapeake Cycles and our staff will help you find what battery is best. These cameras are versatile, lightweight, and super fun. Bikers love to share tales from the road and what better way to share than to relive the ride? They even have mounts for motorcycle helmets. GoPro cameras are also a great option for long rides and unpredictable weather. We recommend their new HERO4 Session because of the size and price. Gloves are a great gift and make excellent stocking stuffers. There are many styles and varieties available. Get gloves for your rider if their gloves are worn out, misplaced or they just need another option. Chesapeake Cycles has plenty of styles to choose from. Every needed to speak to a riding partner and can’t wait until the next stop? Bluetooth Intercom set would fix just this. Using wireless technology is also the safest form of communication. The fit right into your helmet and are easy to use. There are various price points for these, so ask Chesapeake Cycles for help if you aren’t sure what to get. Installing a phone mount is safe and practical. You can still use your phone, see the time or see emergency calls. Phone mounts go directly on your handlebars, allowing you to view your phone easily. It will also keep your cell phone secure. This way you don’t have to keep it stored and miss important phone calls. Coupled with a Bluetooth set, this could be a great solution to staying safe and in touch. Since 1924, the AMA has been an advocate for the motorcycle lifestyle. AMA members come from all walks of life, but all hold the same belief. As the world’s largest motorcycling organization, the AMA works to sustain Rider’s rights. Membership to this group makes a thoughtful gift. See how to join on their website. There are a lot more things so stop into Chesapeake Cycles and check out all our accessories and gadgets. 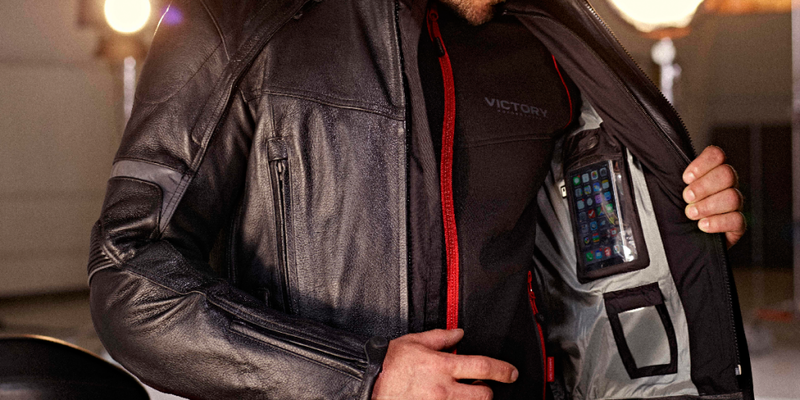 Let us help you take the guesswork out of buying gifts for your favorite biker. We are riders ourselves, so we have tested many of the products personally. We are the only authorized Triumph, Victory, and Indian dealer in Annapolis. Don’t forget that Black Friday specials are right around the corner. Come check out all our deals this Holiday Season!